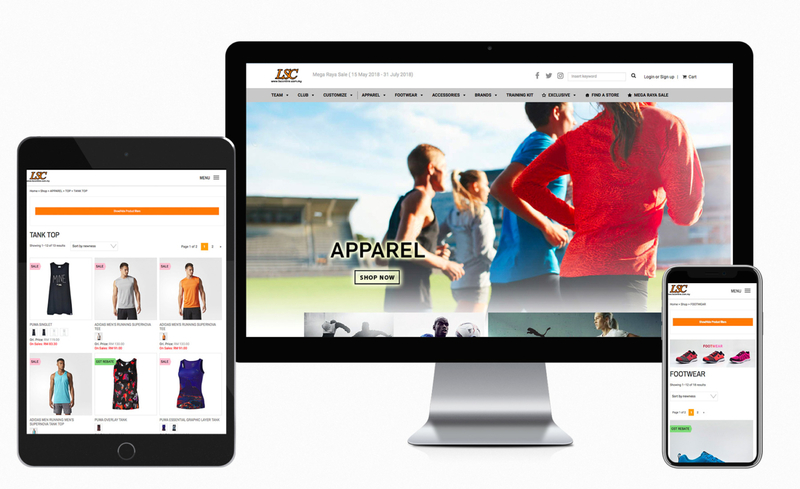 LSConline is a PREMIER online shopping platform for sporting footwear, apparel and accessories. The Website caters international brands and Sarawakian home brand, the STARSPORT, the official attires for Sarawak FA team, as well as the official attires for Sarawak Contingent during SUKMA since 2002. Design and build the e-commerce website with modern design, responsive layout, and easy to use backend system that is friendly for end-user. With our “Dynamic Content Modules” that is easily to use to manage their content without a programming knowledge. e-Commerce platform, online sales, flash sales, product variation, product customization, coupon discount, weight based shipping, Tax/GST control, invoicing, various mail forms.